This Joint Right Here Is A Very Dope Album For The Year 2011. 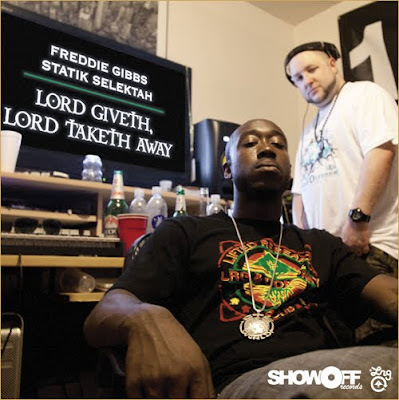 Freddie Gibbs & Statik Selektah Teams Up For " Lord Giveth, Lord Taketh Away" This Is An EP That Contains 7 Tracks With Guest Appereances By Daz Dillinger, Fred The Godson, Trae The Truth, Termanology, Reks, And More. Enjoy!. DON'T FORGET TO SUPPORT THE ARTISTS! !